Observation of the development and growth of culture is the main source of information on the state of crops. Recently, the IT infrastructure has formed a whole class of useful applications for field surveys. Mobile application “Agroscouting” from the company Soft.Farm is a real assistant of agronomist on the field. For three years, it has been improved, developed, supplemented and, in addition to normal functions, has received new tools for productive work. The application allows you to quickly find fields using satellite navigation and automatically records the dates and times of their visits. Convenient fixation of plant phytosanitary condition, loading of photos with reference to GPS coordinates, indication of detected pests, diseases or weeds, designation of plant development on the BBCH scale - all this helps to understand the state of the crop on the field and plan further actions to preserve and increase the yield. Synchronization with the web version gives instant access to information to other employees. 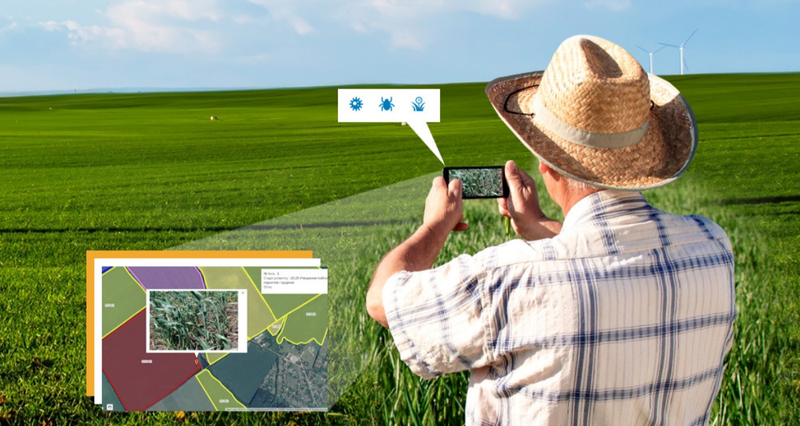 The web version of “Agroscouting” allows to remotely generate tasks for survey fields that an agronomist receives in a mobile application on his smartphone, and then track their implementation and analyze the quality of implementation. Photographing of the development of cultures is an important step towards quick decision making today.